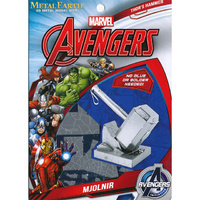 Avengers Metal Earth Thor's Hammer | The weapon wielded by the Norse god of thunder, Thor! The Hammer, Mjolnir, wielded by Thor! 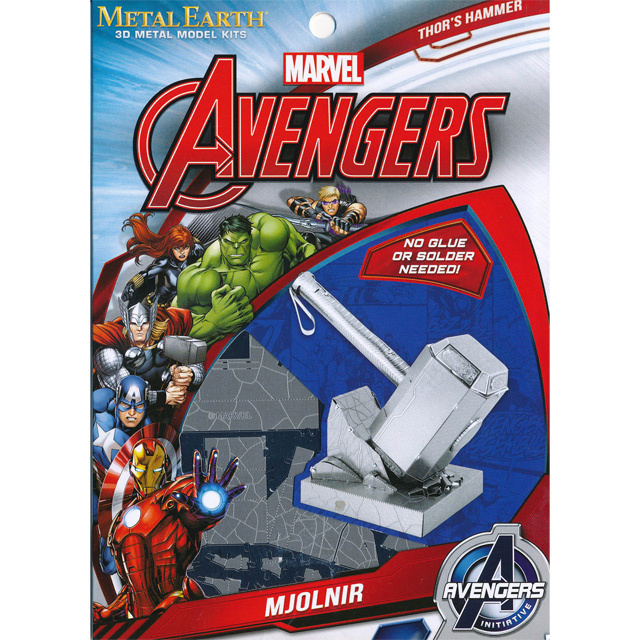 Thor's Hammer is a fictional weapon wielded by the Norse god of thunder in publications from the Marvel Comics! With few exceptions, Thor has carried his hammer throughout his adventures. 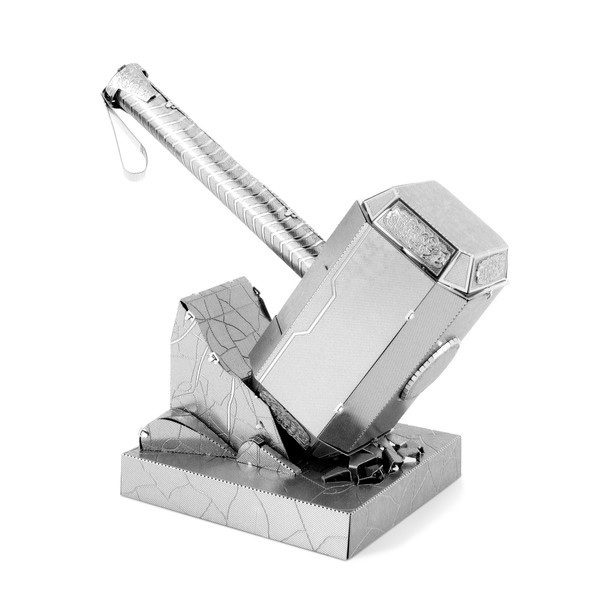 And now you can build your very own memento to celebrate your love for Marvel's superheroes! Start your collection today as you follow the included instructions to turn two flat laser-etched metal sheets into an awesome 3D model for your display case. You won't need any glue or solder to keep your model together, simply pop out the pieces and bend the tabs that slot together at the attachment points. Tin snips and tweezers may be required to assist you as you navigate the intricate pieces. It may take some hours to assemble your model so choose a quiet night with a clean table and some good lighting. The end result is well-worth the challenge, it's an achievement you'll be proud of as it fits in the palm of your hand! If you're working on a number of models, the Metal Earth 3 Piece Tool Kit will make things quicker and easier! Approximate dimensions once assembled: 8.3cm x 4.5cm x 8.3cm.